Angels by Carl Ruggles is originally written for six trumpets, in 1921. This recording is from 1938. The artists in the Brass Ensemble is unknown, but they were lead by Gerard Schwarz. In 1940, Ruggles rescored the work for trumpets and trombones. 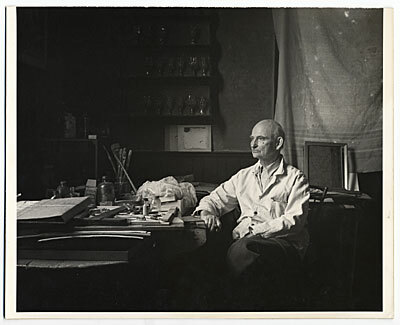 Photo: Carl Ruggles at work table by John Atherton, ca. 1950. 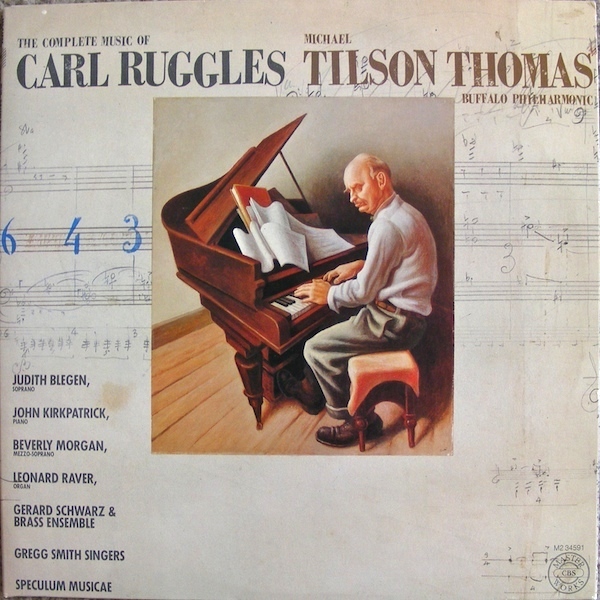 The complete work of Ruggles (including Angels) can be found on the double album “Carl Ruggles – The Complete Music Of Carl Ruggles”, released in 1980 on Avant Garde Project. 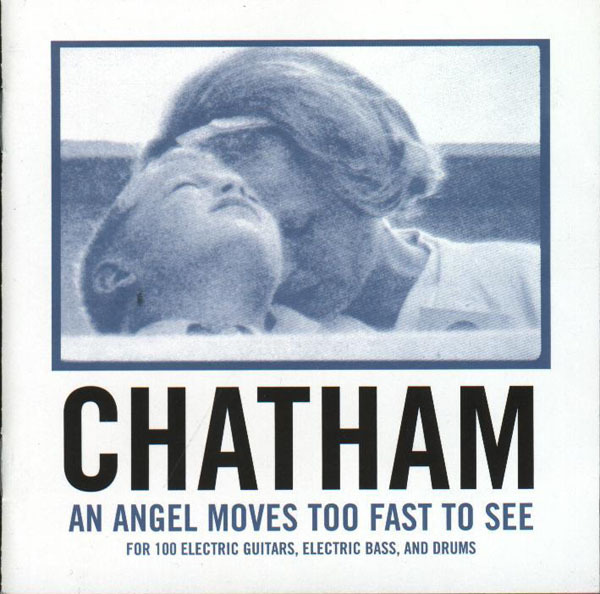 From the album: Chatham, An Angel Moves Too Fast To See, for 100 electric guitars, electric bass and drums. Mixed by Martin Wheeler and Rhys Chatham. Released on Table Of The Elements in 2006. 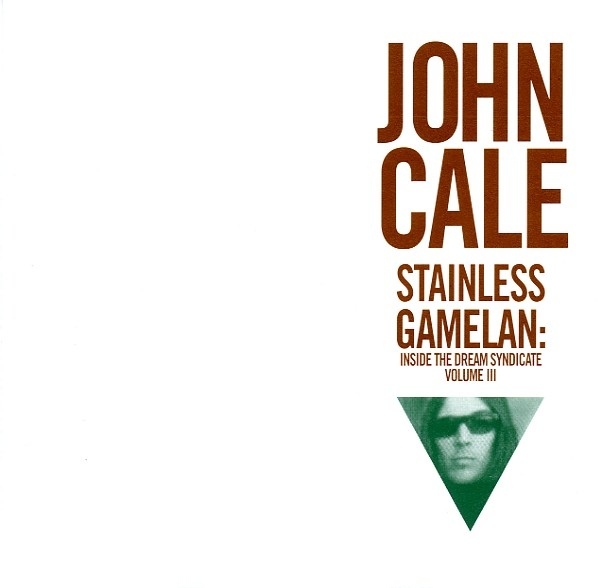 From Steinless Gamelan: Inside The Dream Syndicate Volume III by John Cale. The track is recorded May 1967. Released on Table Of The Elements. © John Cale 1967. The 1984 ECM album Tabula Rasa was the vehicle that introduced the revolutionary music of Arvo Pärtto audiences outside Eastern Europe and initiated what was to become one of the most extraordinary musical careers of the late 20th century. Like many of the first generation American minimalists, he limited himself to diatonic harmonies and generated pieces by setting processes in motion, but the radical simplicity he achieved was the result of religious contemplation that was at least as, if not more, formative than his quest for a new musical aesthetic. The result was music suffused by an unhurried, luminous serenity, and while it was distinctly contemporary, it had an archaic quality that tied it to the music of the very distant past. 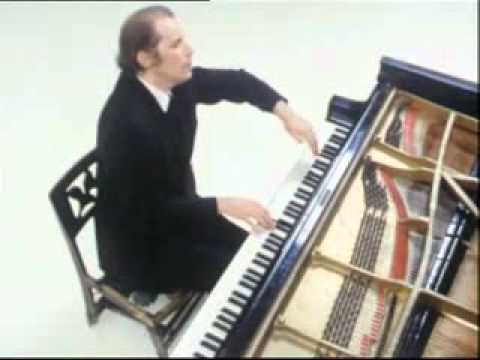 Glenn Gould – pianoforte, filmed in 1974. 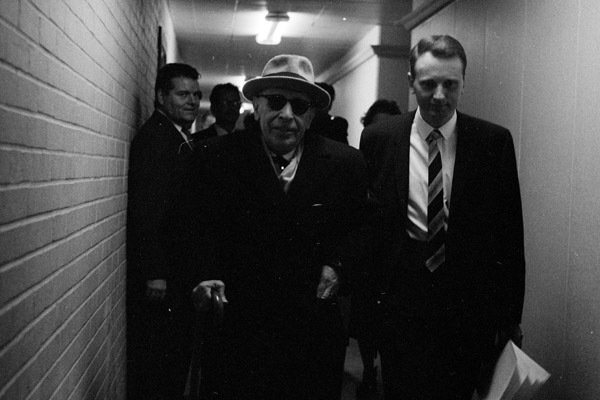 On today’s date in 1940, the Chicago Symphony Orchestra helped to celebrate its 50th anniversary with the premiere performance of a specially commissioned symphony from the famous Russian composer Igor Stravinsky. Stravinsky himself was on hand to conduct his “Symphony in C” — a work that attracted a great deal of attention at the time. 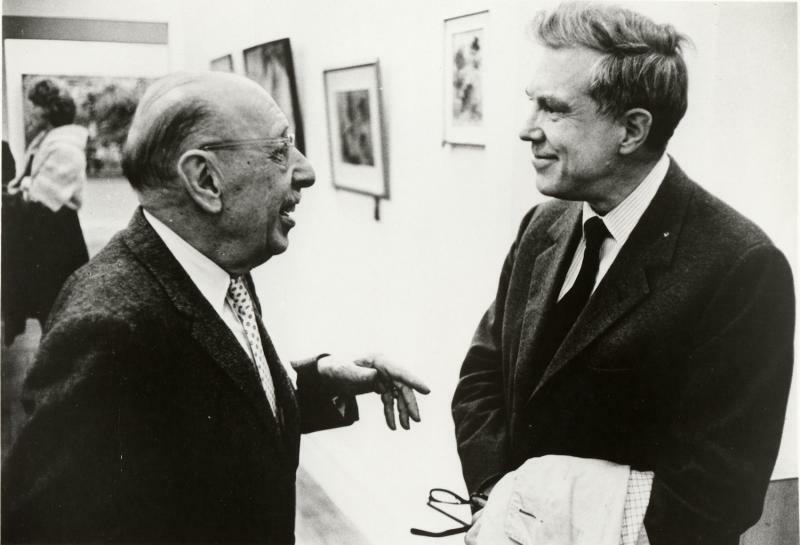 For starters, writing a symphony in the key of C Major seemed a definitely anti-modern gesture at a time when Arnold Schoenberg’s “twelve tone” method of composition was gaining ground with prominent American musicians and critics. “How traditional can you get?” some of these must have thought when they saw the title of Stravinsky’s work. Stravinsky’s new symphony was quickly labeled “neo-classical,” meaning it consciously harked back in form of Haydn’s or Mozart’s symphonies, albeit clothed, musically speaking, in a much more modern fashion. Jukka Tiensuus composition Puro is commissioned by the Finnish Broadcasting Company, 1989. 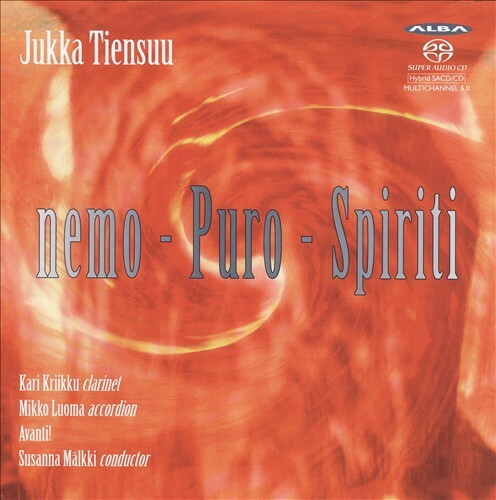 Puro has since its worldpremiere (26th April 1989 Helsinki, Finnish RSO Cond: Jukka-Pekka Saraste) becomed the most performed Finnish concerto after the Sibelius Violin Concerto, with most of the performances featuring Kriikku. Jukka Tiensuu (born 1948) is a Finnish contemporary classical composer, harpichordist, pianist and conductor. His repertoire as musician ranges from baroque music to John Cage and free improvisation and he has given master classes in baroque performance practice and free improvisation. He has written as well eletroacoustic music as works for jazz ensemble, baroque music ensemble, large orchestra, ensemble or solo instruments, such as the Finnish instrument kantele. Tiensuu’s works have been performed by Arditti Quartet, Kari Kriikku, Ensemble Intercontemporain and Jukka-Pekka Saraste, among others. He has also worked at IRCAM.